Non-surgical hair restoration is the methods used to restore the hair on men, women and children who have little or no hair on the head, or are experiencing male pattern baldness, female pattern baldness or alopecia. Non-surgical hair replacement options are available for people who prefer guaranteed instant result of having a full head of hair, compared with waiting for transplanted hair to grow. Other reasons include patients who cannot tolerate surgery or have had complications with drugs and incisions, persons who have insufficient donor hairs, persons who have religious restrictions on permanent body modifications and celebrities who use hair restoration units for cosmetic rapid change of hair length, color or hair texture. Get that Youthful YOU Back!! At Nuvida, we often get asked, “Why should I choose hair replacement instead of a hair transplant or some other surgical method? Which process is better?” There are many reasons why hair replacement is the logical and best choice. Get that Youthful YOU Back. Aesthetically, and in a relatively short about of time, you will get back your full, healthy and natural head of hair back. That youthful YOU is within your reach with minimal investment time-wise and financially. It looks and feels like you’re natural hair. This is achieved painlessly. Go ahead— Pull it, Wash it, Run Your Fingers Through It. It’s not a wig! Many clients are concerned that it won’t feel like their natural hair? 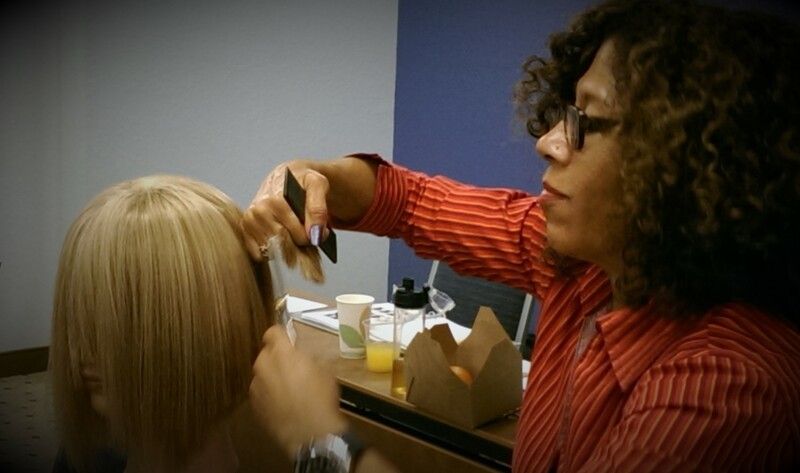 At Nuvida, we use only top-quality, real hair. It is a semi-permanent attachment and maintenance is necessary every 4 to 6 weeks. This hair integration system is firmly secured in place. It’s made to be handled by you so go ahead and run your fingers through it. It virtually acts and feels like real hair. It doesn’t matter if it is a small or a large area that requires replacement, the results are always the same—a sturdy and secure head of naturally-looking hair. Non-surgical hair replacement is part of the treatment universe available when seeking a solution to your hair loss. When a person comes in for a consultation, and the condition is recent and extensive, we refer them to our trichologist or doctor, who will provide an comprehensive analysis of what is causing the hair loss. Since many factors like genetics, drugs that cause hair loss, stress, lifestyle, chemotherapy or improper hair care may cause the hair loss, our physician can determine this. In many cases , hair loss is permanent, and not everyone is a suitable candidate for hair transplantation, laser treatment or taking hair growth drugs. This is where the non-surgical solution is the best choice to regain the look and confidence of a full head of hair. Some types of hair loss are temporary, and transplantation would not make sense. But the client who expects the best appearance and freedom, Nuvida can fit a custom designed hairpiece or wig that will look natural and instantly replace the missing hair without the side effects and time required with other methods. Experts say that hair restoration is the next best solution as a non-surgical choice for natural-looking and feeling hair..
At Nuvida, our philosophy is that every client is a valued friend whose trust and confidence is vital to our future success. We earn our clients’ trust through an unyielding commitment to offering comprehensive hair restoration in a caring, compassionate environment using proven technology and techniques. Our beautiful new salon was designed with these principles in mind. We invite you to tour our space and meet our friendly team! NuVida Hair Restoration Salon is the choice that yields the best results — financially and aesthetically.